According to some “sources familiar with the matter”, Microsoft has just killed the Courier Tablet project. There was a short video revealing how it user interface was supposed to work and I must say that sure was promising, fresh. The idea of using the tablet as a real journal, writing in it with a pen-like stylus, was nice and it would’ve been great if Microsoft had decided to give it a chance. However, Frank Shaw, the Microsoft Corporate VP of Communications, confirmed that the Courier tablet won’t show up soon. Or ever. But perhaps some of its concept features will see daylight in other products. As far as HP Slate is concerned, it is also doomed to go into oblivion. 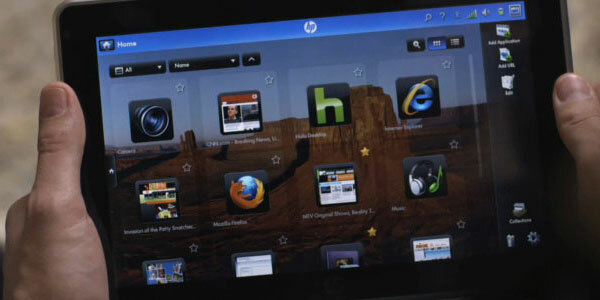 The HP Slate was announced back in January 2010 at this year’s CES but as it turns out it won’t make it to the market. Is it because HP are not really digging Windows 7 as a primary OS for a tablet or just because the company has just got itself a new touchable platform in the face of Palm’s webOS? Anyways, what really counts is the fact that Apple’s iPad was just about to face some really serious competition but now it will freely go on spreading around the globe. I just can’t wait to see a tablet with Google’s OS – be it Android or Chrome OS.